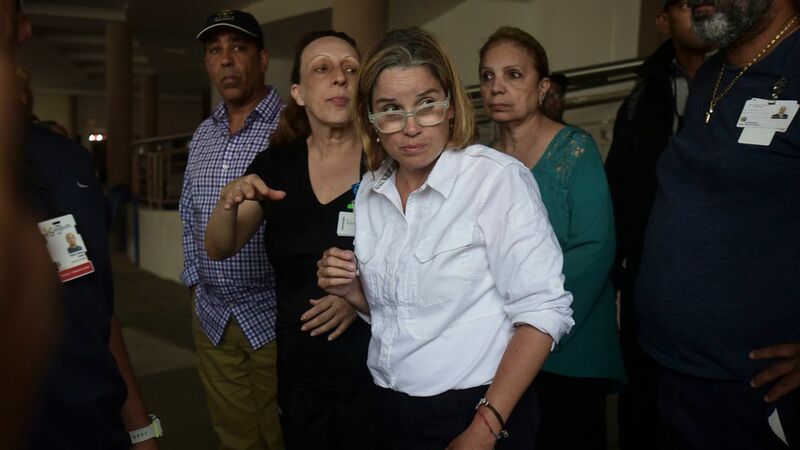 San Juan Mayor Carmen Yulin Cruz said in a statement Tuesday that she has accepted an invitation from President Trump to join him in a briefing while he's in Puerto Rico today. Trump has called her an "ingrate" and accused her of "poor leadership" in recent days, after she publicly begged him for help and said the federal response had been inadequate. "I have accepted the invitation on behalf of the people from San Juan and out of respect for the American people, represented by the Capital Office of the President of The United States. I will use this opportunity to reiterate the primary message: this is about saving lives, not about politics; this is also about giving the people of Puerto Rico the respect we deserve; and recognizing the moral imperative to do both." "To save lives we need a robust and continuous supply chain of aid, we need to adapt standard opening procedures to local reality. And above all we need to cut the red tape. Open channels of communication are always good to have, but they must produce much needed results. This is a humanitarian crisis and it must be treated with that sense of urgency. That is the only way to complete the only mission the matters: saving lives. That is what it is all about."